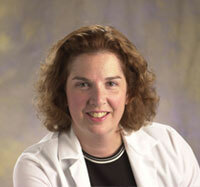 Dr. McBrien completed both her undergraduate and medical education at the University of Michigan in Ann Arbor. She went on to an internship in General Surgery at the University of Michigan, and completed her Otolaryngology-Head and Neck Surgery residency at Northwestern University in Chicago. She has also had further training in endoscopic sinus surgery for children and adults. She has done research in both medical and surgical management of ear and sinus diseases. Her current interests are pediatric otolaryngology and medical and surgical treatment of sinus disease in all age groups. She has won awards for teaching and for research, and currently participates in the education of residents and medical students at William Beaumont Hospital. Dr. McBrien is certified by the American Board of Otolaryngology. She is a member of the American Academy of Otolaryngology, and is a Fellow of the American College of Surgeons. She is the Chair of the Surgical Services Operations Committee at Beaumont Hospital – Royal Oak, as well as Section Head of Otolaryngology there. Dr. Sobol attended college at the Johns Hopkins University in Baltimore, Maryland, and then medical school at the George Washington University in Washington, D.C. He completed his internship in general surgery and residency in otolaryngology-head and neck surgery at Stony Brook University Hospital in New York. He completed an advanced fellowship in head and neck oncologic surgery and skull base surgery at the University of California at Davis. He is board certified in otolaryngology-head and neck surgery and has a certificate of completion in advanced head and neck oncologic surgery from the Council for Advanced Training in Oncologic Head and Neck Surgery. Dr. Sobol practices all aspects of otolaryngology with special interests in head and neck surgery, sinus surgery, swallowing and voice disorders. 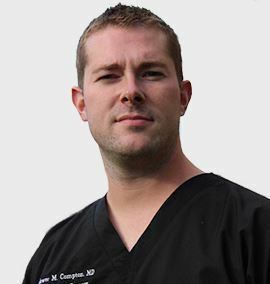 Dr. Compton completed his residency training in Otolaryngology – Head and Neck surgery at the Louisiana State University Health Sciences Center in Shreveport, LA and trained with one of the most experienced rhinoplasty surgeons in the world. He then completed his American Academy of Facial Plastic and Reconstructive Surgery (AAFPRS) fellowship with Washington University School of Medicine at the prestigious Barnes Jewish Hospital in St. Louis, MO. This advanced fellowship training focused on both cosmetic and reconstructive procedures including facelift, blepharoplasty (eyelid surgery) and rhinoplasty (nasal surgery). He joined the Mid-Michigan ENT group in August 2013 adding multiple new services including treatment of facial fractures, lacerations, and scars. Dr. Compton is a natural artist who started developing his gift as a child and has pursued this throughout his life. He is an award winning artist, enjoying many different mediums including photography, charcoal, acrylic paints, pencil, and pointillism using pen and ink. His artistic eye and attention to detail allows him to excel in facial aesthetic and reconstructive surgery. During medical school, Dr. Compton participated in a medical exchange program in which he lived in a small city south of Nagoya, Japan. 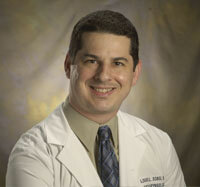 During his 5 week stay, he trained in transplant surgery and pediatric oncology services. During this time he also visited the Hiroshima Peace Memorial Museum, Kyoto, Tokyo and concluded his trip by climbing through the night to the summit of Mount Fuji to see the sunrise.